Our firm always offer innovative financing solutions tailored to the needs of each project for our clients. We have a specific expertise in financing transactions including on construction projects and operation of complex industrial facilities such as airport complexes, containers terminals, power plants, waste water treatment plants, solid waste treatment plants, logistics platforms and within the construction of public works operations. We are able to respond to both the initial legal structuring of projects (choice of types of project companies and financing structures, use of tax optimization schemes, etc.) and for their validation under financial law, administrative law, planning law or environmental law. – Incorporation and structuring of investment funds and investment companies. – Support for investments made by the funds and investment companies: drafting and negotiating investment agreements, shareholder agreements, guarantee agreements, issuance of hybrid securities. – Advice of funds and investment companies on their investment issues, investment strategies as well as on the difficulties associated with capital markets, mergers / acquisitions and restructuring. – Cross-border structuring for private equity investments. – Implementation of investment tax strategies. – Ethics of funds and investment companies, relationships with regulators (FSA). – Litigation relating to investment activities, disciplinary actions for damages and civil actions of asset managers. The support of funds and investment vehicles is provided by our team of lawyers expert of strategic and technical issues peculiar to collective investment securities institutions and investment companies, with in-depth knowledge of regulatory requirements, allowing to combine reactivity, legal certainty and innovation. The Capital Markets team advises issuers (public and private), financial institutions and stakeholders on all types of capital markets transactions, including issuance of shares or securities giving access to capital, issuance of debt securities and derivatives. Whenever necessary, we advise on complex and cross-border transactions involving international partners. Our firm has developed an excellent response, often decisive for market operations. Our expertise in securities law allows us to intervene on behalf of listed companies for all of their recurring relations with market authorities (threshold crossing, advertising shareholder agreements, joint action, directors’ statement, stock-options or bonus shares, stock redemption plan, block transactions, takeovers bids, etc.). For equity securities or securities giving access to capital, we work on IPOs, capital increases and convertible bonds. For debt securities, we work on bond issues, negotiable debt securities or debt securities restructuring. 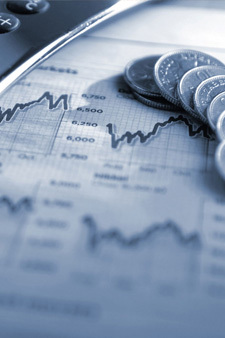 With regard to derivatives, we support our clients through our knowledge of the regulation applicable to derivatives, enabling us to advise on the structuring of transactions and proceed with the development of the documentation of transactions, including strategic transactions in publicly traded shares (equity, funding) and the drafting and negotiation of framework agreements. – All types of securitization, consumer loans, credit card debt, real estate debt and commercial financing, fixed debts, doubtful or disputed, interbank loans or debts, business loans, commercial or financial leasing, automobile receivables or financing, bonds and other negotiable instruments, claims on or by a public entity, future receivables. – Securitization of assets or risks. – Advice of arrangers, sellers, financial guarantors or investors. – Domestic and international transactions, public and private. – Securitization or refinancing structures. – Restructuring of failed or non-performing operations. Our team supports complex cases. The synergy of our experts and our knowledge of industry practices being a main advantage, we use the expertise of other specialties of the firm to offer optimized solutions. We have an extensive expertise in acquisition financing and especially for the setting of loans in the LBO transactions. Our firm works throughout these transactions to validate the structure of funding, its tax impact and the effectiveness of related collateral, as well as in the negotiation of financing agreements and their implementation. On acquisition financing, the firm regularly advises borrowers, industrial companies, managers and PE investment funds and acts on behalf of bank lending pools as well. Our team regularly acts for the legal structuring of financing transactions for movable and immovable assets acquisitions. Whatever the legal form of financing, financial leasing, leases, leasing, our firm is able to assist its clients in negotiating these agreements and to analyze their consistency with the legal and regulatory requirements. We assist our client in the implementation of more complex syndicated loans and related securities (revolving multi-currency credit, facility lines by bonds issuance, export financing, etc. ), on behalf of borrowers as well as credit institutions members of bank pools. The Islamic Finance offers multiple innovating Chariaa-based products. representing a highly growing alternative to the conventional finance. Kammoun & Kallel advises extensively in Islamic finance transactions and plays a role in its development.